When the unthinkable happens, the equal and opposite reaction should also be unthinkable. Yesterday’s devastating fire to the more than 800-year-old Notre Dame Cathedral in Paris was heart-wrenching to watch as a fire–reportedly related to the most recent $6 million+ renovation efforts–took down the famous spire and roof, causing additional damage inside. Having visited Notre Dame, like so many people around the world, it was difficult to witness the destruction on live TV. Just a day later and the latest developments are encouraging given the circumstance. French President Emmanuel Macron reaffirmed his heartbroken citizens (and global community mourning in solidarity) earlier today. Rebuilding Notre Dame Cathedral inside of five years seems unthinkable. But the good, inspiring kind of unthinkable. And it’s a grand challenge Parisians and the world will be watching, supporting and praying for in the years to come. After a massive fire engulfed Notre Dame, the popular cathedral deserves a lasting vision in the future that honors and celebrates its decorated past. Thankfully, that process appears to be underway. 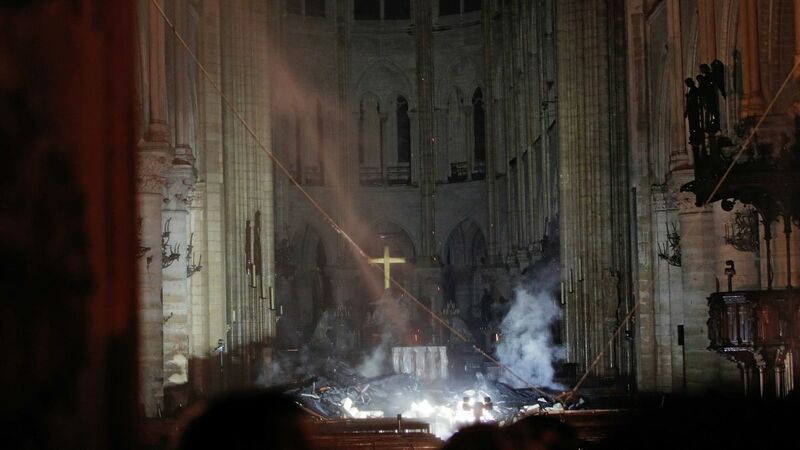 Posted on April 16, 2019, in Uncategorized and tagged Christianity, Church, construction, faith, fire, Notre Dame, Paris, rebuild. Bookmark the permalink. Leave a comment.